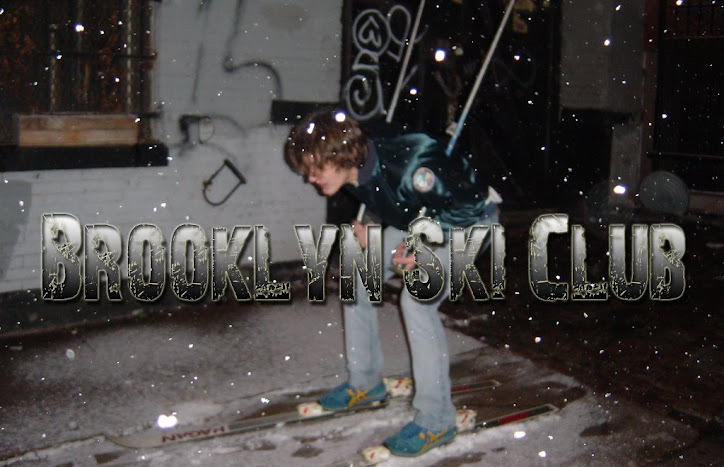 Brooklyn Ski Club: Rabid Raccoon VS. Me! 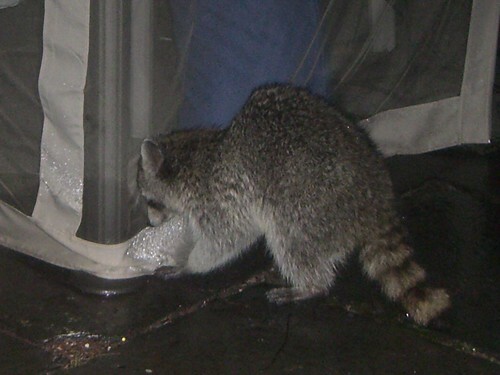 we have a racoon (in williamsburg) that does not appear sick at all, but is not remotely scared of us. 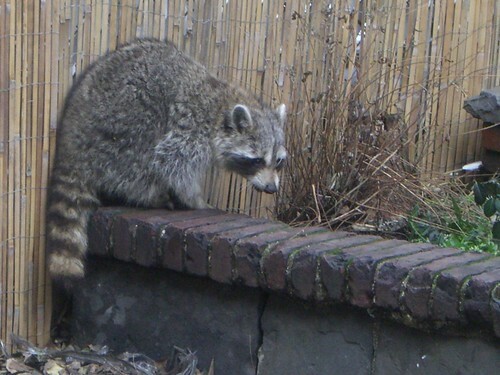 we live on the third story, and for the past two nights this gigantic raccoon (looks to wigh 30-40 pounds) has appeared on our batroom window ledge. needless to say, cute as he is, we are leaving the window closed.i have a great photo of him, but don't know how to post it.